Over the years, we’ve learned a great deal about what it takes to design effective learning games that enhance the classroom experience. Of the lessons we’ve learned, the most valuable include how to determine the right content for learning games, and how to best use learning games in the classroom. We go through several steps to ensure our games are designed to be playful experiences that enhance student learning. Not only do we playtest our games with real students in classrooms across the country, we take the opportunity to use third party research partners to evaluate the effectiveness of our games. 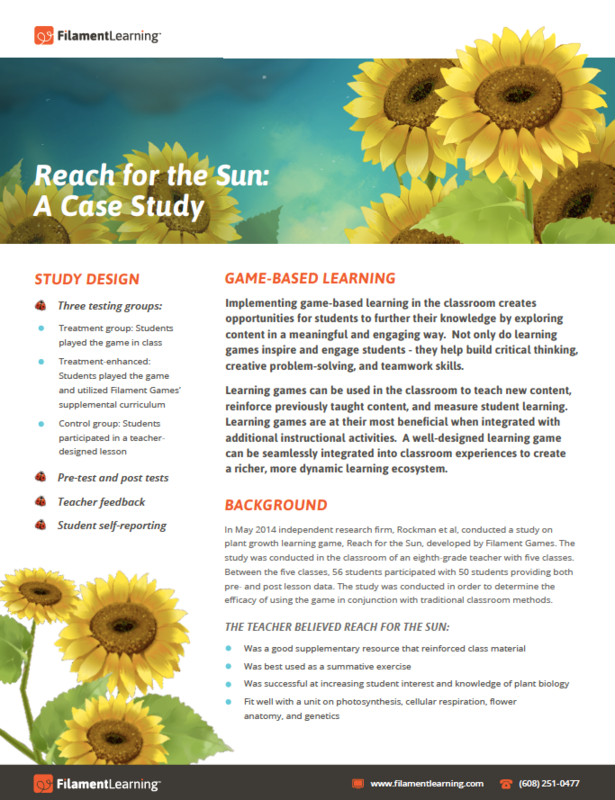 In the May 2014, we partnered with Rockman et al to determine the efficacy of using Reach for the Sun in conjunction with traditional classroom methods. Check out the results below!